Thank you to all who participated in our Open House event on December 3. View photos of this event HERE. Lisa and Giovanni Senafe, owners and founders of Bentley’s Pet Stuff, could have picked any children’s agency in the 10 states where they have stores to support this Christmas. They chose St. Vincent Home for Children in Normandy, and will provide Christmas gifts for the children at the home. The Senafes are passionate about helping pets — that’s their business after all — but they’re also passionate about helping children in need. It counters a criticism of people who assist agencies helping stray pets at a perceived expense of homeless people, for example. 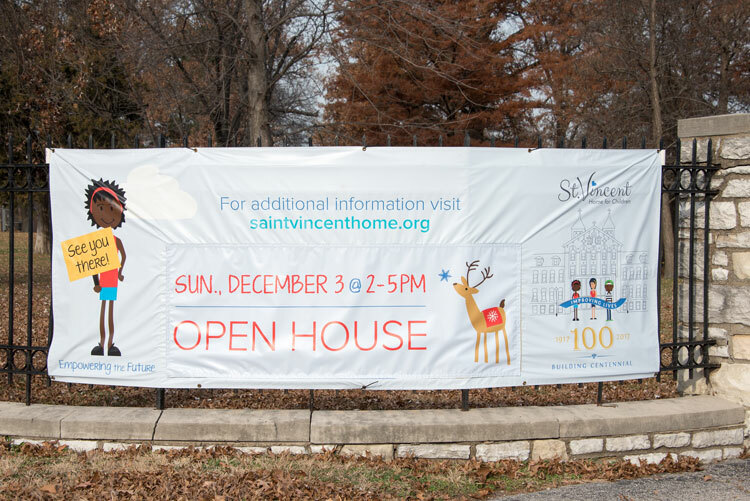 “We want to do as much as we can with not only shelters for dogs and cats and rescues, but we also want to do as much as we can for children,” Lisa Senafe said Nov. 2 while visiting St. Vincent from her home in Chicago. Founded in the Catholic tradition, St. Vincent is a safe and caring community in which troubled adolescents have life-changing opportunities that build character, self-respect and coping skills. It helps youth facing significant life challenges through love, security and therapeutic support. “St. Vincent has a great program, not only providing food and shelter, but providing life skills to help them get their life going in the right direction. … children don’t always have their own voice. It’s nice to have places that help them and speak up for them,” Senafe said. Bob Devine, chief development officer at St. Vincent, said the vast majority of St. Vincent clients live in poverty with a household income less than $10,000 annually. Services are provided to them at no charge. Poverty affects children in many ways, often bringing trauma. St. Vincent services help them heal and develop life skills. Government funds pay some of the costs. Donors, many from the Catholic community, help in many ways, Devine said, including Bentley’s, which is providing Christmas gifts to the children. 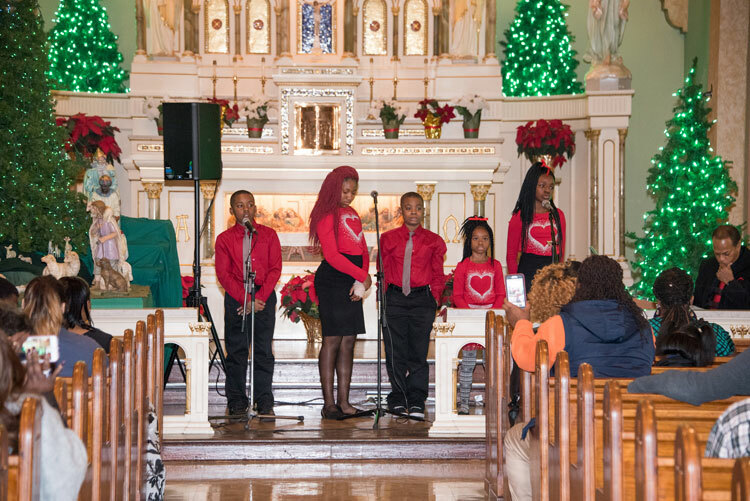 St. Ann Parish in Normandy is providing Christmas trees, lights and ornaments. A Jesuit priest will celebrate Mass on Christmas Eve at 4 p.m. in the chapel at St. Vincent. Carol Ann Aubuchon’s commitment to St. Vincent Home for Children began with her father 70 years ago. 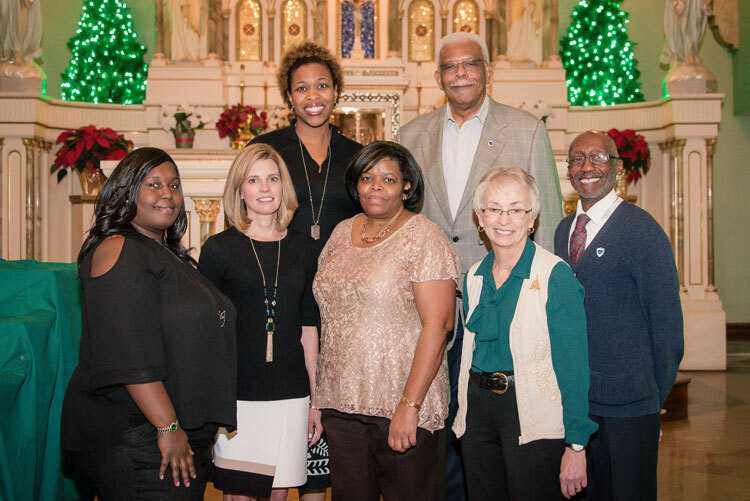 A member of St. Margaret Mary Alacoque Parish in south St. Louis County, she is the fifth person in her family to serve on the board. 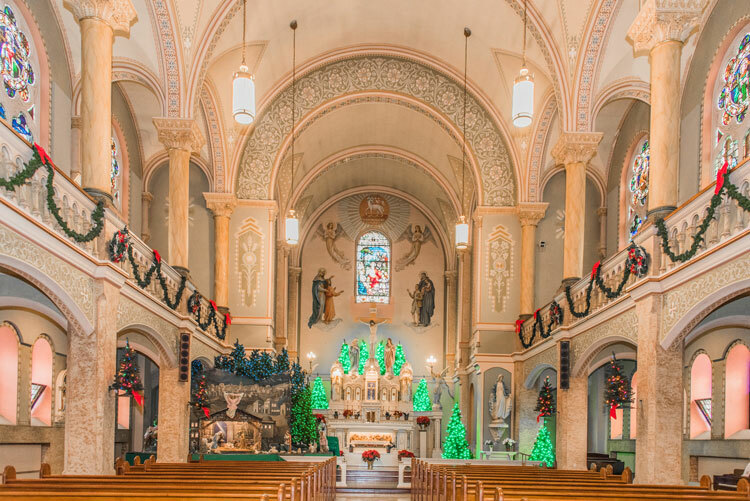 As a Catholic, Aubuchon stated, it is important to remember the history of St. Vincent in the St. Louis Archdiocese, including the contribution of the Sisters of St. Joseph and the Sisters of Christian Charity.